Mining is a great metaphor: from raw material to finished jewels. How can we use those jewels to expand and move out? 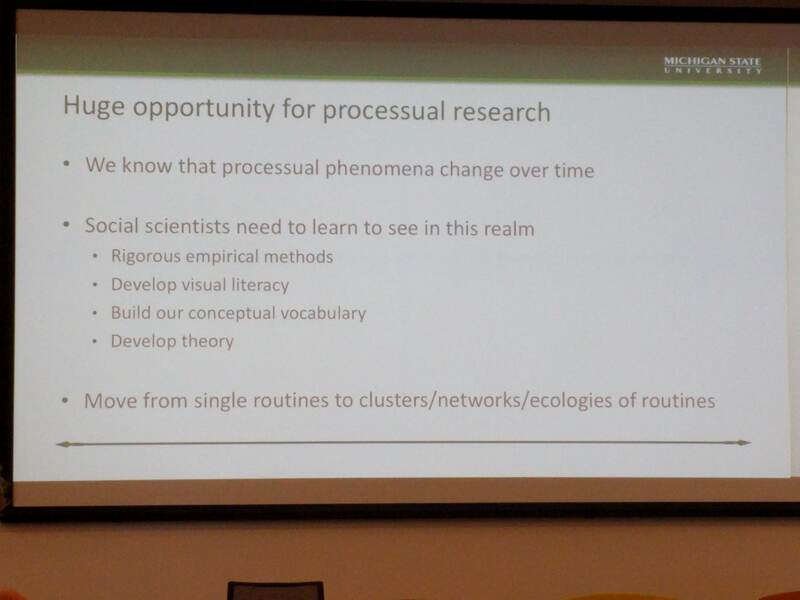 Processes are important in social sciences. Processual phenomena are namely pervasive in social and organizational theory. This is because many of the organizational concepts are, according to Brian, inherently processual. 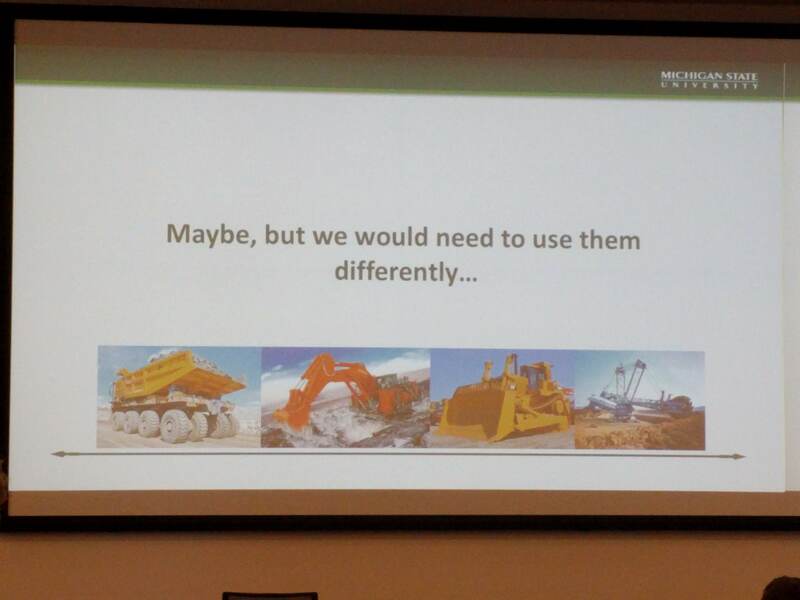 Mining delivers the tools that the scientists in the organizational sciences miss. Processual theory states that processes are universal and foundational. Objects are “stable”, but as you increase the time scale, changes become apparent. Processual theory is in a way revolutionary. 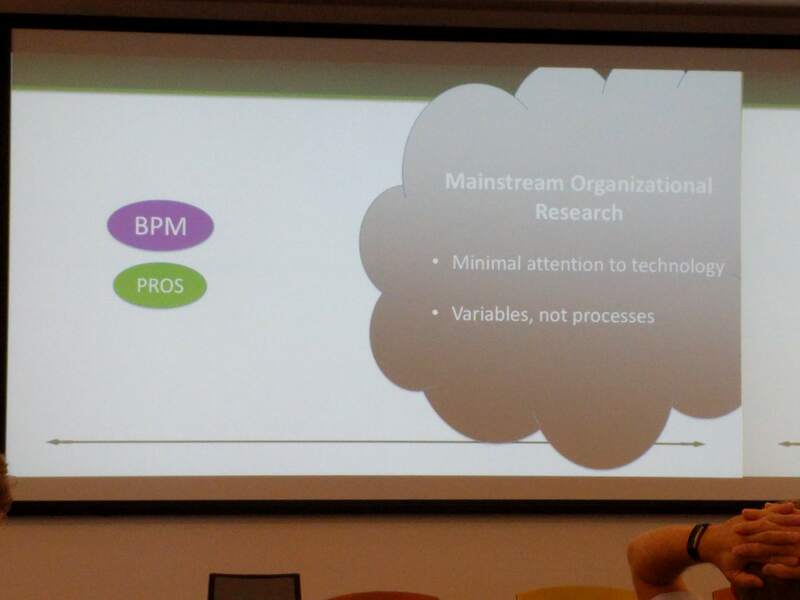 In social sciences, the actor plays the central role: an actor-centric research, whereas BPM is action-centric. Action-centric social science would be transformational in his opinion. As an example, he shows event networks. In social networks, nodes are people, and edges typically represent some form of communication. In event networks, nodes are actions, and edges represent sequence, which is barely studied, except in BPM [and Petri Nets, process algebra, etc.]. Network dynamics questions then are questions like: what are the antecedents and consequences of network changes? Endogenous change is a powerful and interesting category. In Social networks many principles exist that explain tie formation (e.g. homophily, transitive closure, etc. ), and are well established. How about event networks? According to Brian, this is the open field, that needs to be explored. Instead of trying to get the right model, he argues that we should focus on change: why does it change? 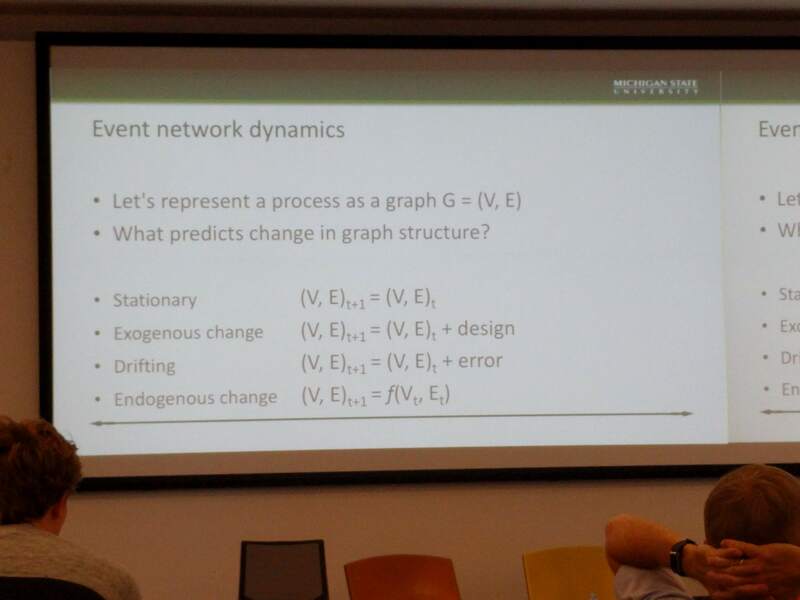 What drives dynamics in event networks? Because one thing is clear: it will change! 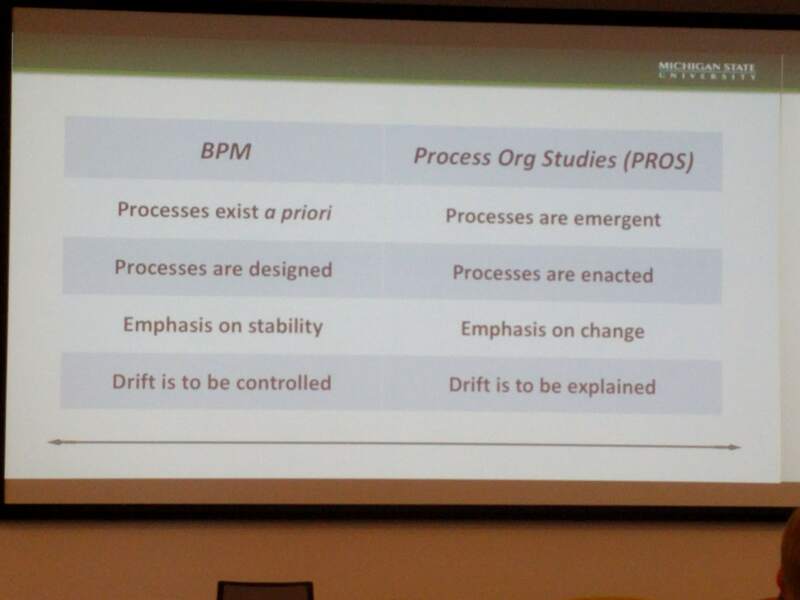 Organizations are inherently processual and constantly change. What is driving dynamics? That is a profound problem. Did we miss social sciences? Is it time to renew Descarte: “I am a process, so I exist”?